Releasing the few surviving live recordings of this "unsurpassable performer" for the first time, Bach to Bloch illustrates his extraordinary command over all the musical styles. Each volume of the collection is programmed as a concert recital and each performance has been remastered by the world-leading historical recording sound engineer Andrew Rose. 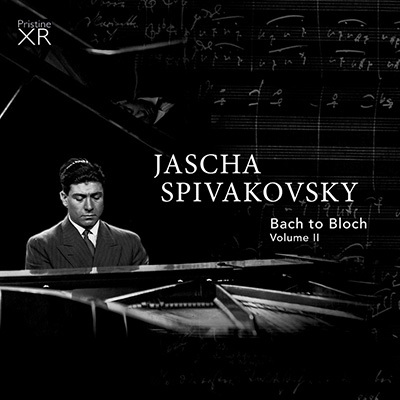 Although we can never hear the immortals Franz Liszt and Anton Rubinstein, we can now hear the "crystal piano" signature sound of their musical heir Jascha Spivakovsky. This introductory volume opens with a demonstration of his "marvellous power" in The Great Fantasia and Fugue and "crystal piano" playing in the Waldstein Sonata. Wonderful fire and poetry in the Ballade and exquisite tone and phrasing in the Romanze then stamp his international reputation as "king in the realm of Chopin" and "the finest living interpreter of Brahms." Next he turns "the West Wind into a cyclone" and sketches Minstrels with "a most sensitive style as well as a brilliant one." Finally a war sonata by Kabalevsky highlights his "blending of the best from the old school of piano playing and the new." This volume opens with a "revelation of rhythmic vitality" in his own majestic version of the Chromatic Fantasy & Fugue. 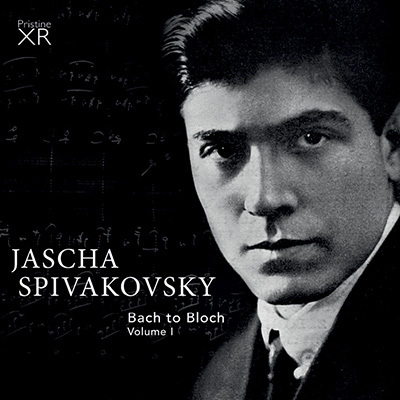 Followed by the radiant Sonata in F, articulated with the "extraordinary purity and clearness" of his unique "crystal piano" sound signature. "Deliciously exquisite" gems then herald with "marvellous delicacy" the four pivotal Beethoven sonatas to feature in Volume Three. The Fantaisie Impromptu is a scintillating balance of volatile bravura and "the most delightful grace." Finally the Funeral March Sonata, the mighty climax of this volume, performed in the grand manner of the golden age of Romantic pianism. In the words of one astounded contemporary critic: "I have never heard a reading to touch it."